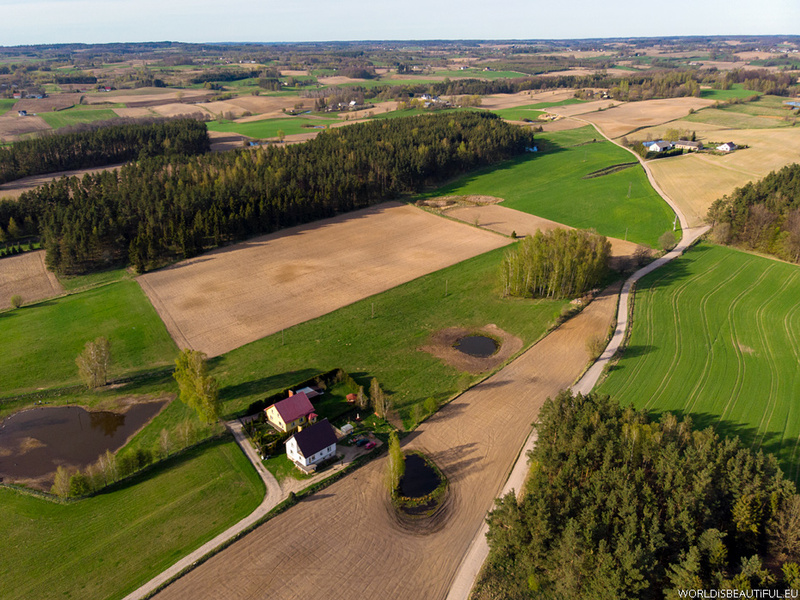 Fields, meadows, dirt roads, ponds, homes and farms - aerial photo of Kashubian. I like such places! You can spend hours in the labyrinth of country roads here.